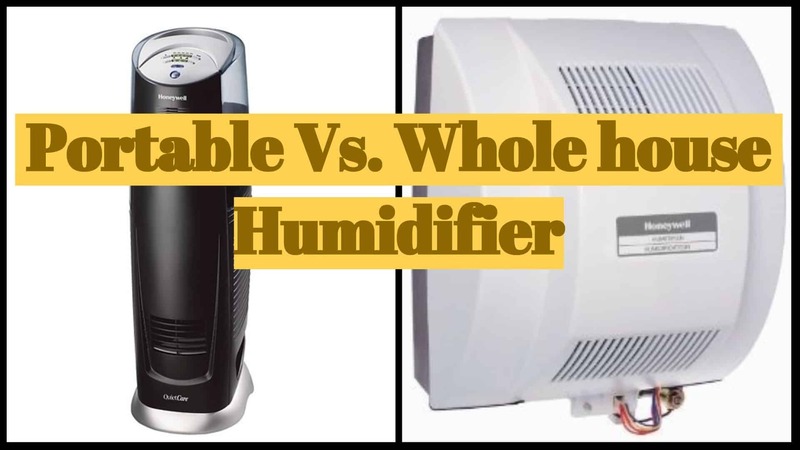 Whole house Vs. Portable Humidifier: Which is better and why? From among these two various types of the humidifiers, you should need to pick the best one which suits you and based on the high-quality brand you can get many advantages. The facts, features, and benefits of these two variants of humidifiers explained here for your information. Whenever you are considering the whole house humidifier, it is commonly used to increase the humidity level of the whole house or whole space. This kind of humidifier equipment is as well as known as the furnace humidifier. This kind of humidifier can be connected with the HVAC system of your home to circulate the humidity amongst the house or room evenly. A lot of house makers and the building owners would often like to make use of this humidifier system to give the best comfort in their offices, houses, hospitals and as well as the industries for humidifying the entire area. The portable humidifier device is aimed to serve the same thing of increasing the humidity level in the air but for the particular room. Whenever you would like to increase the humidity of your kitchen, living room or bedroom, you can make use of this portable humidifier device as you desire. Due to its smaller and compact size, it cannot be used for your whole house, and it will boost the level of humidity only within a particular room. If you have decided to purchase an excellent humidifier device for your house, office or any place, there are a lot of confusions in choosing which model and what brand from among the various choices. The main confusion of the several buyers is that they don’t know which humidifier will serve you in the best way and satisfy your needs. To pick the most suitable humidifier device either a portable one or whole house humidifier, you should need to know the advantages and disadvantages of both models. It will help you in making a right decision about which one you have to purchase and why. Our full in-depthÂ Humidifier Buying Guide read here. If you are considering the whole house humidifier device, then you can install it any part of your home. 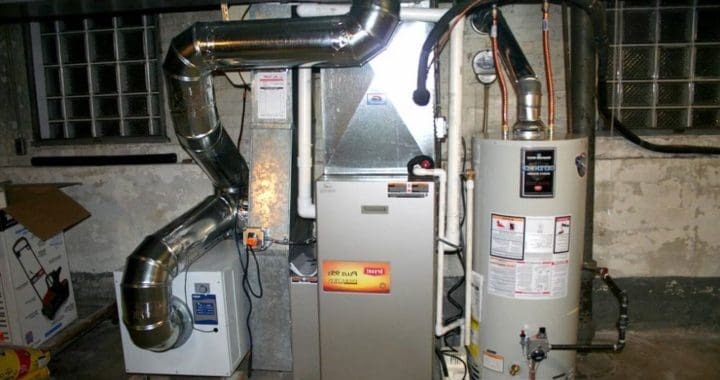 When you have installed it with a suitable blower system of your house furnace, it can automatically take the water and works continuously to provide you the desired and the most comfortable humidity levels throughout the house. The whole house humidifier device is commonly very economical because it will give you only lower maintenance and recurring charges as compared to portable humidifiers. As it needs only the one-time setup for increasing the humidity level at the beginning stage, you have just to start it. Then, it will take care of your house or other building’s humidity level. At the same time, you don’t need to adjust this humidifier again and again for maintaining the required level of humidity because it has the automatic setup to adjust it. It is noiseless, and the initial installment will make you invest only lower cost. Dissimilar to the portable humidifiers, these whole house humidifier devices are somewhat larger so that you should have to make proper transportation to take it to your house. For the installation purpose, it requires expert professionals who have the best installation skills. While taking the water from your house or local office supply, this humidifier will take it along with the dissolved minerals. Then, they might get deposited inside the humidifier in the forms of salts and minerals. So, the cleaning process is very important before the end of the summer season. While cleaning whole house humidifier, you can use diluted white vinegar or any other hardened minerals for enhancing its smooth functioning further. Whenever you are considering to buy a portable humidifier which is also known as the ultrasonic cool mist humidifier, it most preferably used for the household use. The best thing about this type of humidifier device is that the users can able to use it anywhere in your house. It can be easily portable to take any part of your house for getting instant humidity. The portable humidifiers are available with the various capabilities and in the different sizes. There is a small sized desktop humidifier available to keep the humidity in your room properly. Similarly, you can also find the most powerful humidifier devices which can keep the humidity levels in more than one room. Portability or flexibility is the main concern of this type of portable humidifier device. The users can take it anywhere in your house and also carry it with you while going tour as well. It will not require a long process of installation, and you don’t need professional help to install this portable humidifier. 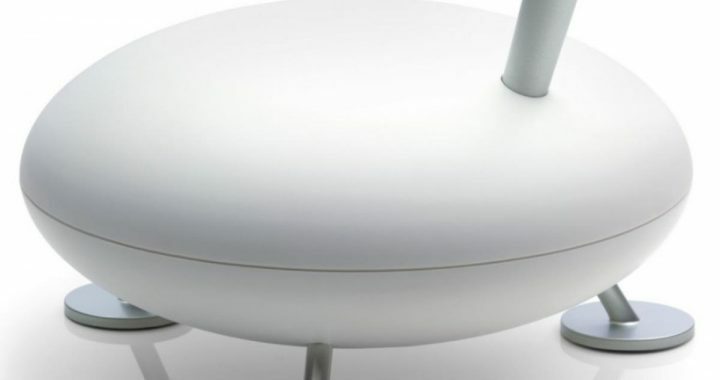 You can just purchase, plug and play this device normally and easily. As it is very smaller in size, you can easily operate and maintain this device. To maintain the healthy environments, you can easily clean it at the standard intervals. Some of the high-quality portable humidifier devices are usually coming with the increased price which is sometimes higher than the whole house humidifier. It will produce some noise while using and may keep you awake at the night time. Regular maintenance is important for this portable humidifier, and you have to fill the water on the daily basis. The latest models of the portable humidifiers are coming with the detachable tank, but you have to supply water. They all are good and do their job. The main question is what you need. And then regarding your needs, you can pick on ore another model. Read our humidifier reviews of the best models out there.